If you grew up in the 90s or the aughts, there’s a good chance you either yourself partook or knew those who did in Yu-Gi-Oh card fights or traded cards with other Pokémon collectors. 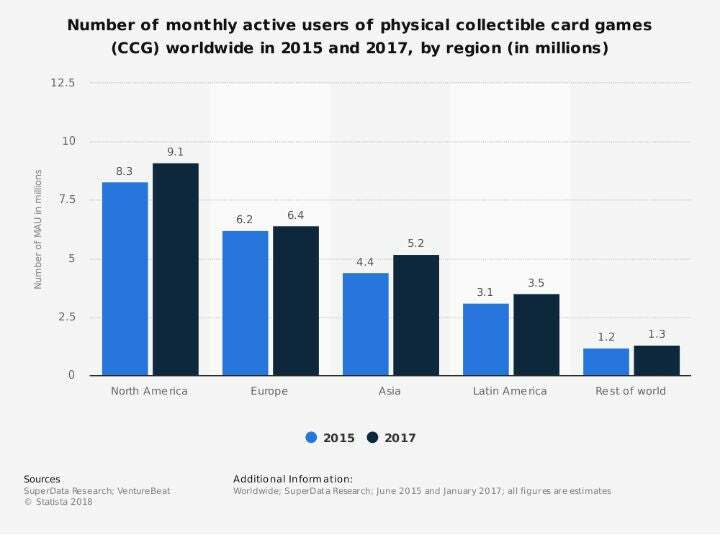 Trading cards are still big business—thanks in large part to the aforementioned duo and “Magic: The Gathering”—raking in annual revenues in the upper millions. Digital niche providers, like Gate to the Games, are profiting as well: Founder Markus Schwarze used to sell on Ebay while he was still in school; today he runs one of Germany’s largest online trading card shops. The biggest event you’ve never heard of is the OMR Festival 2019. 50K attendees. 400+ a-list international speakers, 300+ exhibitors, 4 stages, 150 Masterclasses, 2 epic parties and more! It’s 2 days of insights, inspiration and entertainment—and it’s happening this May 7 & 8 in Hamburg, Germany. Get on board or miss the boat! Magic: The Gathering has been around for a quarter of a century, Pokémon trading cards have been on the market since 1996 and Yu-Gi-Oh cards since 1999–the trio continue to be extremely successful in the trading card game. Magic: The Gathering, which is now owned by Hasbro, generates a reported USD 300 million in annual revenue. The Pokémon Company, a subsidiary of Nintendo, turns over 2 billion Pokémon cards a year; while Yu-Gi-Oh’s parent company Konami eclipsed the 25-billion mark for cards sold in 2011. According to a 2017 study, 6.4 million Europeans played physical card games like these three. But the trickle-down effects are real as success has not been limited to the industry behemoths. “I played with trading cards myself and at some point I had a pretty big collection. When I decided to part ways with my collection, I went on Ebay with the intention of selling it for some spending money. 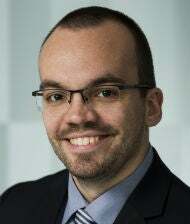 I realized that the return would be much less than what I originally paid,” Markus Schwarze, founder and managing director of Gate to the Games, told OMR. “You can earn more with card packs than you can with complete collections. So that’s why I sold packs as a teenager after school.” Thus begins the Gate to the Games saga in 2004 in the small German village of Schönebeck in Sachsen-Anhalt. Markus Schwarze’s trading card business nearly never came to be. He initially only sold on Ebay, but stopped the practice after high school. In 2008, he returned to the idea while he was enrolled in college and ended up founding Gate to the Games with his mom, in order to professionally sell cards in his own online shop; his mother continues to oversee packaging and shipping. “In the beginning, our warehouse was my old bedroom. Once we outgrew it, we relocated to the cellar then to the guest room. In 2015, we rented our first office and employed two full-time employees and two part-timers,” says Markus Schwarze. Today, there are 20 people on the company payroll. “We actually never intended on founding a company. I just wanted to earn some extra jing on the side and kick some extra cash over to my mother. What happened, was all mere chance,” says Schwarze. However, from the beginning Schwarze is not satisfied with being a niche marketplace merchant, as being dependent on Ebay or Amazon is not in his long-term interests. “As I was focussed on online marketing while I was studying, the online shop soon outgrew Ebay,” says Schwarze. And that was primarily due to the Gate to the Games blog: “We incorporate everything into our marketing mix. With SEO, especially, we are in an excellent position thanks to all the content work we did. It took a while before the effort paid off, though.” Today, Ebay and Amazon only account for 5 to 10 percent of revenue. The blog features stories on new sets, new game strategies and even general life tips for card collectors on how to get their significant others interested in playing; a new content piece is released on average of every three to five days. The content strategy has helped them rank highly on a handful of search terms. Analysis tool Sistrix puts Gate to the Games in the top-10 for over 4300 keywords on Google. This includes the (German) keywords “yugioh karten” (yugioh cards), “pokemonkarten” (pokemoncards) and “pokemon karten kaufen” (buy pokemon cards) where they are number 1 in Germany. It’s therefore hardly surprising that according to traffic analysis tool Similar Web 42% of traffic is organic and the majority of the rest comes striaght to the website (??). In total, the site generate 300K visits per month. Why has Gate to the Games thus been unable to pull in visitors from the big social platforms? Schwarze says that there simply has not been enough man power available to make significant inroads on Facebook, Instagram, Youtube and the others. “Right now we are building up our own marketing team. We just had two online marketing managers join the team and hopefully they’ll be able to give us some momentum on social,” Schwarze told OMR. “On Facebook, the team shares company-created content to source traffic from there, whereas there is no strategy on Instagram—the last Gate to the Games post on Instagram is from February 2018. Something that will change according to Schwarze, as he sees significant potential in the photo platform as a marketing channel for the business. One such role model is the Insta account for US-based “artofthecards.” Over 23,000 subscribers follow the artist behind the channel who designs her own cards and redirects fans to her shop where she sells original wares. Of the visits coming from social, nearly 70 come from YouTube, a channel to which Gate to the Games regularly publishes content. “One of the best-performing video formats on YouTube is unpacking videos. People just want to see that moment,” says Schwarze. Unpacking vids of new card sets have given Gate to the Games over 20,000 subscribers and over 4.4. million video views. The most-successful video deals is of a “Legendary” box of Yu-Gi-Oh cards with over 650,000 views. In addition to this organic reach, the company also has modest budgets allocated to Facebook Ads and Google AdSense—especially for retargeting campaigns. Maintaining visibility across those additional channels figures to go a long way in determining the company’s success moving forward. “There is a massive amount of competition online. But we are clearly among the most successful outlets in Germany,” says Schwarze. In addition to marketplace merchants, who sell cards on the side, there are also larger players like collect-it.de, who partially consists of game businesses. Furthermore there are specialized marketplaces like Cardmarket, where collectors can sell their cards to interested parties. “The trading card market is very cyclical. In 2017, there was an incredible demand due to Pokémon Go and Pokémon’s 20th birthday,” says Schwarze. “People were looking for something to do away from their digital devices.” And it’s this desire to do something analog that manufacturers here are able to fulfill, which makes trading cards an even more attractive business. And because in both Yu-Gi-Oh and Magic: The Gathering, players take on another player with their own decks, it is essential to long-term success that players acquire good cards; and the more often that newer, more powerful cards hit the market, the more players will need to acquire these to keep up. The necessary long-term and repeated investment is not the only reason the hobby comes with a heavy price tag. There are packs containing 75 random Magic: The Gathering cards cost 60 euros. And there are some cards that are especially valuable—as this “Black Lotus” on Ebay demonstrates—all yours for a cool USD 160,000. Millions in revenue though trading card sales? “Between 60 and 65 percent of purchases are made by regulars,” says Schwarze. “Our target group is very passionate about the products and therefore regularly makes purchases.” And Gate to the Games created an app for these regulars that allows them to scan barcodes and compare prices and, of course, buy them directly online through their webshop. The app has thus far been downloaded 20,000 times and its share of revenue is growing. Schwarze declined to go into particulars with revenue, but did offer up a couple of numbers that give an impression of the company’s size: “We average 4000 to 5000 orders per month and the average purchase is over 50 Euro.” Taking the conservative estimate, 4000 orders per month times 50 euro times 12, and you have an annual revenue of EUR 2.4 million—not a bad trade off for trading cards.